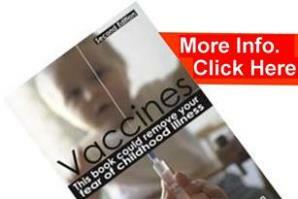 Are some cancers a side effect of vaccines? As the mechanisms of cellular research have become more and more sophisticated we are now able to observe effects that were hitherto unpredictable and imperceptible, for example in 1960 a contaminant viral particles were found in the inactivated polio vaccine. These vaccine viruses were grown on ‘Simian’ monkey kidney cells; hence the contaminant virus was labelled ‘Simian Virus 40’ (SV-40). This virus was found at the site of cancers that had developed in individuals after they had been vaccinated with the polio vaccine and therefore the vaccine was implicated as the cause of certain cancers. After investigations, inevitable cover-ups and denial it was eventually acknowledged and the vaccine production method was changed from the simian monkey to the African Green monkey kidney cells. Effectively the results of such studies were deemed to be the concerns of pharmaceutical companies only, (“…deemed to be proprietary”), not even other scientists much less members of the vaccinated public were privy to such information. Are mutant viruses a side effect of the vaccine production process? Dr Martin conducting further research, found that in some patients with complex neurological diseases, viruses isolated from them would evoke no inflammatory responses, the body apparently made no attempt to eliminate them, they were then termed ‘Stealth Viruses’ because of their ability to operate within the body undetected by the immune system. These viruses have been found in people with chronic fatigue syndrome, attention deficiency disorder, autism and other brain and nervous system conditions. What is the role of these stealth viruses in pathology? We are already aware of the difficulty in ascribing the cause of disease to any specific virus; we know that they are, in many instances, probably the result of our own cellular breakdown. Hence viruses are species specific, each animal, insect, plant and bacteria have their own specific viruses. The problem with these so-called stealth viruses however, is that they are human in origin but then they are subsequently replicated on animal tissue, from which they are then injected into our bodies in the form of vaccines, many viruses in vaccines are now no longer human viruses. “Human and animal viruses with bacterial sequences represent a novel life form that has been christened ‘viteria’. The recombination of viral, bacterial and cellular genes within broadly infectious viteria is clearly of major medical and Public Health significance. Why are the health authorities turning a blind eye to the incriminating evidence that vaccines are causing dangerous side effects? The suggestion was well received by the counsel for the House Commerce Committee. It was soon dropped, however, when support was not forthcoming from Industry, FDA or the American Medical Association (AMA). Dr Martin was to uncover further resistance to the issue of dealing with contaminant viruses in vaccines, from his own research he knew they were there. After years of working in other laboratories and some time working in the FDA he wanted to know if scientists producing the polio vaccine were still finding contaminant viruses. Answers to such questions, as we know, are hidden from scientists and doctors, after identifying himself as ‘just’ an interested parent he was able to find out that contaminants were in fact still being found and most surprisingly he began to expose a web of deceit covering the fact that FDA officials would actually rather not know. I once asked industry personnel involved in poliovaccine production whether they were still encountering SCMV (contaminant virus) in polio vaccine production lots. 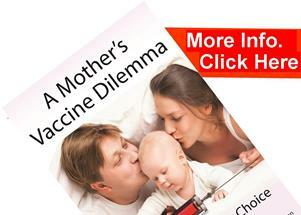 After some hesitation that disappeared as we all identified ourselves as parents, the straightforward answer was “not infrequently.” Armed with this information I again requested of an FDA official to please use modern techniques such as the polymerase chain reaction (PCR) to screen poliovaccine lots for SCMV. “We would not know what to do with a positive result” was his answer. The American Physician Dr Harold Buttram recognises a parallel with the stealth virus phenomena observed by Dr Martin and the work of Dr Vijendra Singh published in ‘Clinical Immunology and Immunopathology’ (Vol 88 (1); 1998: 105-108). Although scientific evidence has not yet reached the standards of proof, one pioneer researcher in this area, Dr. Vijendra Singh with the University of Michigan, has published a report of a study in which he found that a large majority of autistic children tested had antibodies to brain tissue, in the form of antibodies to myelin basic protein.He also found a strong correlation between myelin basic protein antibodies and antibodies to measles, mumps, and rubella (almost all of the children had been immunized with MMR, and none had had these diseases before). This study confirms the results of a similar study published in The Lancet in 1998 by Dr. Andrew Wakefield of the Royal Free hospital in London, showing a link between MMR vaccination and Crohn’s disease of the bowel and autism. If the MMR vaccine were causing an autoimmune reaction involving the brains of autistic children, what would be the mechanism? Although research in this area is in its infancy, as previously mentioned, we do know some things. Both the measles and mumps fractions of the MMR vaccine are cultured in chick embryo tissue. As purely genetic material, viruses are highly susceptible to the process of “jumping genes,” in which they may incorporate genetic material from the tissues in which they are cultured. Once this genetic material of chick origin is introduced into the child, it may set in motion an immunologic battleground, a process that the work of Dr. Singh would tend to confirm. In summary, it is possible that either the MMR or the oral polio vaccines, by mechanisms described above may induce a process of encephalitis or brain inflammation, which may be highly prevalent but as yet rarely recognized for its true nature. Unfortunately there is a very clear pattern emerging, one in which the many legitimate research scientists discovering demonstrable risks associated with vaccines, find themselves sidelined and ostracised from governing health institutes, facing persistent denials as to the existence of any problems associated with vaccines. In such a climate it is difficult for members of the public, professional and otherwise, to reach informed conclusions about the safety and effectiveness of vaccines. However by piecing together the available evidence it is possible to do just that.